Posted on April 30, 2016 by admin wrote in Blog. So you’ve finally done it. After days, weeks and perhaps even months of making endless calls, pounding the pavement and interviewing with several companies you’ve landed that dream job. You can finally breathe a sigh of relief. Right? Wrong! Now comes the tricky part. Now comes the all important first day in your new positi on. This is a delicate time when you will begin to set the tone for the next several days, weeks, months and perhaps even the entire tenure of your employment. During this period you will begin to set how employers and fellow workers view you. In order to help you wow your co-workers and your new boss, here are some strategies to help you crush it on your first day. Adjust yourself to a new sleep schedule: People who have been unemployed for an extended period often don’t have a set time for going to bed and waking up. This is fine if your schedule is flexible. However, when starting a new job it is wise to make it a point of going to bed and waking up at a set time. You’ll want to get used to your new routine and you’ll also want to have the energy to start your new enterprise. Test-drive your commute: Make sure you know approximately how long it will take for you to get to and from your new work location. Make sure you can find it and also what the commute will cost you in gas, train or bus fare, etc. Do your homework: Know as much about the company as you can before reporting to work for that first day. This will impress your boss and co-workers plus it will prepare you for the job ahead. Be Punctual: Showing up on time (or early) shows that you are committed to your new job and that you take it seriously. Dress Appropriately: Know and strictly follow the dress code for the job you have secured. Take Notes: Invest in a small notebook or keep notes on your tablet. Chances are you will be given a lot of information on that first day. Some of it will be critical to making your tenure there a success. Make note of names, numbers, locations, positions, healthcare plan info, etc. As a top executive assistant staffing firm in NYC, we help many people go from applicant to new employee. The process after placement relies very much on your commitment to making your new position successful, long lasting and productive. 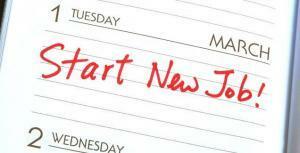 By knowing what to do on that first day you will be sure to get as much out of your new job as you put into it.